Goodyear Tire & Rubber Co. released an airless turf tire that is designed to eliminate flats and air pressure checks. It’s manufactured exclusively for Bad Boy Mowers. The tire is expected to be available in early 2018 as an upgrade option on Bad Boy Mowers’ Outlaw XP, a zero-turn radius model. 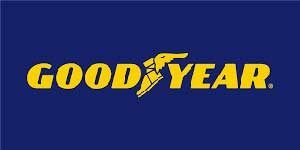 As of now, the nonpneumatic product is only meant to outfit up to 250 of Bad Boy Mowers’ models, but this initial offering will provide feedback to determine which, if any, sizes to offer in the future, said Jim Davis, communications manager of Goodyear. Additionally, the tire features a thermoplastic connecting structure that provides a combination of stiffness and flexibility to carry heavy loads while maintaining a smooth ride and minimizing turf tear, Goodyear said.